← What Are Some Of The Most Expensive Cars To Insure? It is a legal requirement that at very least you have third party cover in place for your car but there are probably some people who feel that motor insurers are sometimes reluctant to pay out to meet some claims. Well, you may be interested to note that, according to the Association Of British Insurers (ABI) motor insurance companies are paying out a record amount in claims this year. So far this year, insurance companies here in the UK have been paying out in total an average of £23 million per day. This is the highest figure since records started to be kept and just shows how many accidents there are each year. So far this year, motor insurance companies have paid out £6.4 billion with this being an increase of 4% when compared with the same period in 2017. Of this figure, £271 million related to claims for theft. This is a significant increase in comparison to the same period last year – a rise of 32%. There was also an increase in the number of claims that were settled – 42,000 claims so far this year with this being an increase of 11% when compared with the same period in 2017. The amount paid out for repair bills was £3 billion with this being a rise of 5% in comparison to the same period last year. You may be interested to read that the average amount of a repair bill was £2,137. Cars have become more sophisticated and therefore the cost of repairing them has risen. It is to be hoped that, even with an increased amount being paid our in motor insurance claims, car insurance premiums do not increase as this is something that motorists here in the UK would prefer to avoid happening. 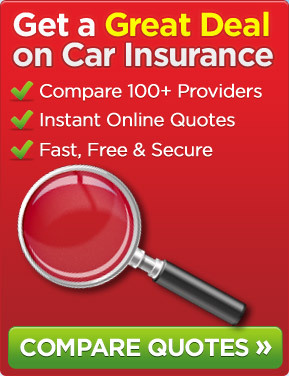 The cost of running a car is high enough without the motorist having to face a rise in car insurance premiums. Do not forget to shop around for your motor insurance as there are hopefully some competitively priced premiums being offered by insurers who are no doubt keen to take on new business. Do not be frightened to challenge your existing insurer about the amount they wish to charge you when you come to renew your policy and you may also wish to obtain comparative quotes from other insurers. This entry was posted in News and tagged Association of British Insurers, Motor Insurance Claims. Bookmark the permalink.